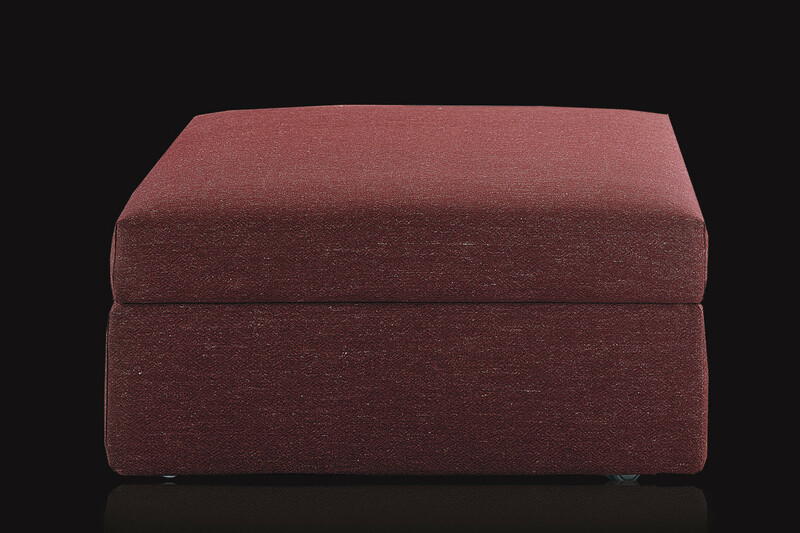 Pat is a square storage ottoman with tray in wengè painted wood. 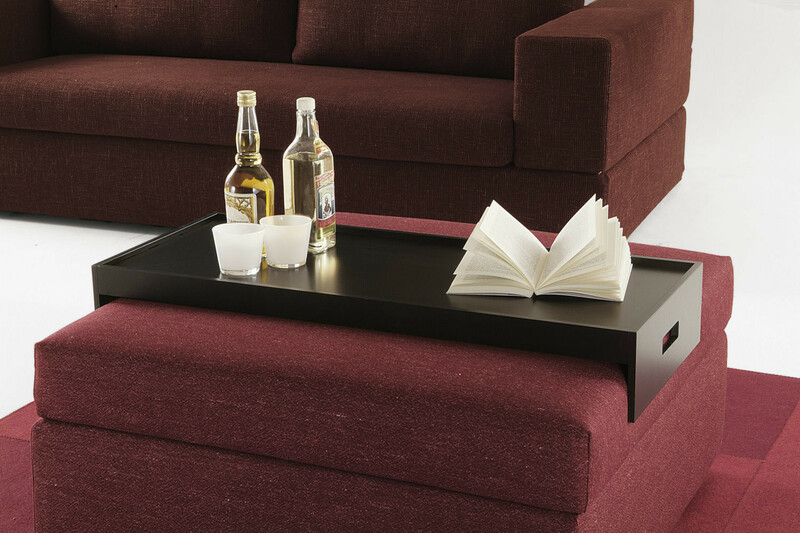 A handy and functional solution ideal next to any Milano Bedding sofa. 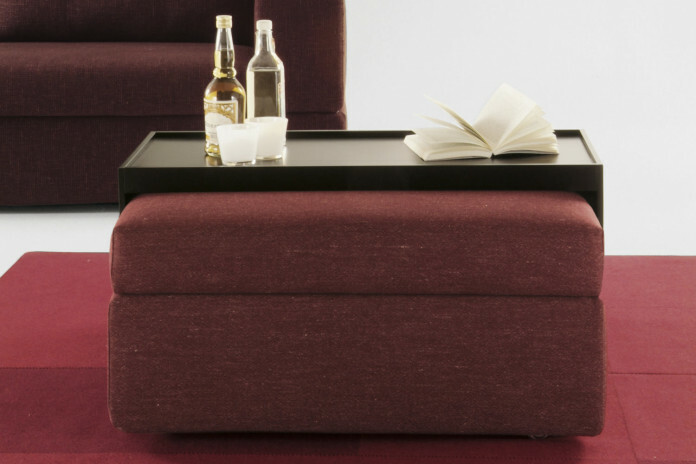 Pat is a square storage ottoman with a dark wood tray and equipped with casters to easily move it. It is available with cover in fabric, leather and eco-leather that can be removed and washed according to the specifics of each material. 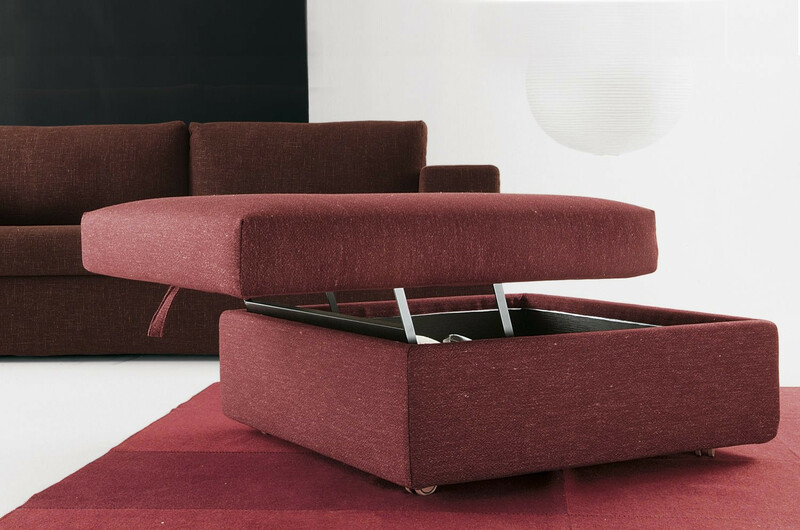 If you want to make the best of this ottoman, you can also lift its top to open a useful storage compartment. Pat can be combined with all sofas by Milano Bedding, but the several covers and colours available make it also perfect for any other sofa. 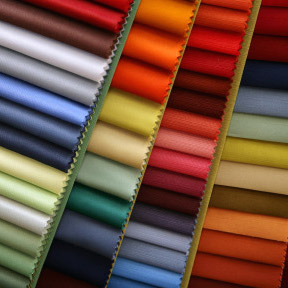 Pat ottoman is available in fabric, leather or eco-leather in a wide range of colours displayed in the samples page.